[Sept 14 Update]Now that this card no longer offers first year free (FYF), which means you have to pay for the $150 annual fee in the first billing statement. 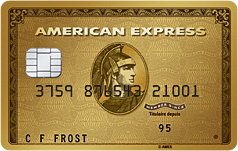 The American Express Gold Rewards card is a great card in many aspects, and it was also one of the first points and miles cards that I have applied for since building up my Canadian credit history. Now I will briefly walk through why this card is worth of applying for in this post. By using a referral link to apply, you do have the chance to have an additional 5 K MR (the official portal is offering 25 K MR) by adding a secondary card member. The welcome bonus of this card is 30,000 membership rewards points if you apply by a referral link (the first 25,000 points requires 1500 dollars of spending in the first three months;by adding a secondary user you will get another 5000 points), with which you can convert to Aeroplan miles and Avios at an one on one ratio. Simply speaking, that's enough to redeem a return long-haul flight anywhere in North America. Membership rewards points are very easy to use if you travel a lot. They give you lots of flexibility in terms of the way you want to travel. And the good thing about them is that they never expire as long as your account is active and in good standing. As many of you may know, many airline miles and hotel points have expiration date, making it sometimes a headache to manage them. But with membership points you can keep them when you don't feel like redeeming something and use it just before you want to redeem. This card comes with an annual fee of $150, slightly higher than its competitors. By comparison, TD/CIBC Aeroplan Visa Infinite has an annual fee of $120, and so do many other visa infinite cards. There is one trick that can get your more points as a reward of loyalty. After the annual fee for the second year is posted, you can contact customer service and ask for retention offer. Depending on how much you have spent in the first year you will be offered some points to retain you (I see the data points of 10K, 15K and 20K). You will be amazed by the insurance coverage of this card(see the picture below). I always used this card to pay for my travel cost because it not only gives me 2 points per dollar spent (that's basically ~4% return), but also insured myself. From car rentals to flight delays or trip cancellations, everything is covered. I can still recall that last new year I was flying from Las Vegas to Vancouver and the Air Canada flight that I took was delayed by 10 hours. I called American Express and opened a claim for the flight delay (it requires a minimum delay of 4 hours). 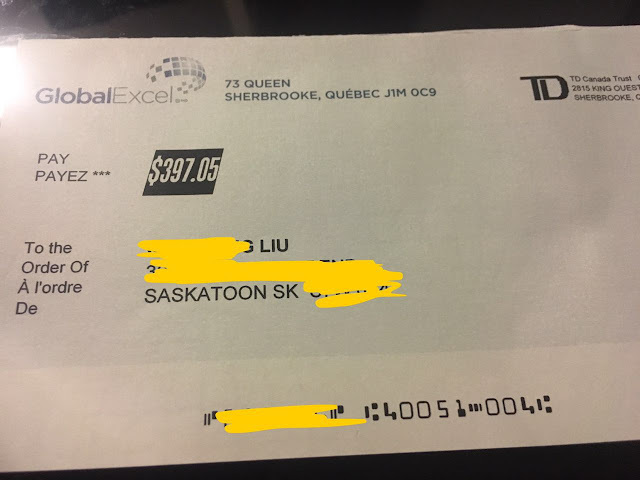 Then I booked one night with Marriott Airport hotel and was reimbursed for my spending out of this incident (hotel, food, and sundry items). It really comforts you a lot and save you money. Many readers may wonder how does applying for a new card affect his or her credit score. Well, every new application for a credit card will generate a hard inquiry on your credit report, and thus reduce your score by 5 to 10 points. But if you can pay off your balance every month and keep your new account in good standing, the credit score will be recovered in a few months time. As I said, applying and owning this card for the first year does no hurt but just will affect your credit score. Remember this is a charge card so you may not want to run balance on this card, which is helping you to keep a good habit of paying off credit card bills every month and thus build up your credit score. If you cancel this card after one year, you will lose some credit history on this card. But if you have a long credit history, or if you have many other cards, this effect is almost nothing. If you are just starting to build up your own credit history, though, I recommend you keep it for at least another year. This card is a must have card in your wallet from my own point of view. You cannot find any other cards that offer you free 30000 points (which is worth of at least 500 dollars) without annual fee as a public offer. If you have lots of spending on gas,groceries and trip cost, you will accumulate points at the fastest rate.